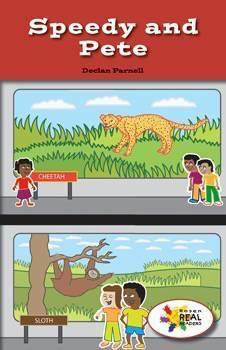 In this fictional narrative, readers will learn about two different animals living at the zoo. Descriptive text structure and colorful illustrations will allow readers to compare and contrast facts about a cheetah and a sloth. This fiction title is paired with the nonfiction title Fast and Slow.